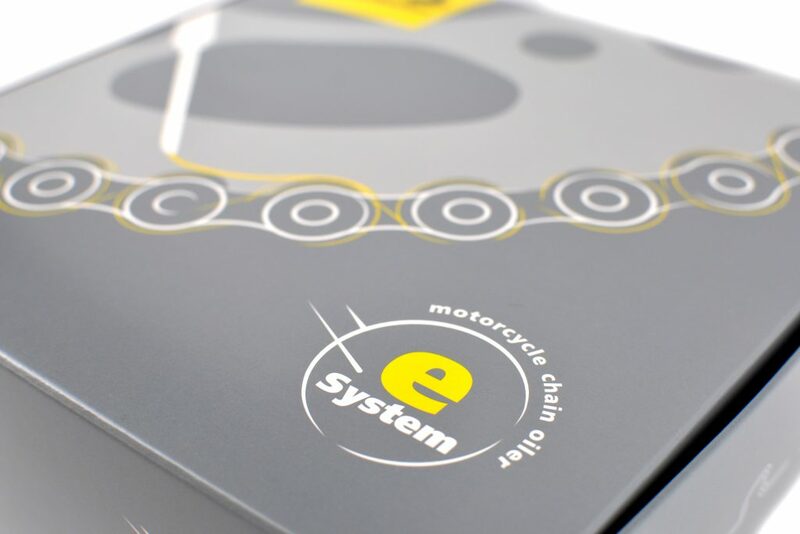 The eSystem is our award-winning, premium motorcycle chain lubrication system and the flagship model from Scottoiler. 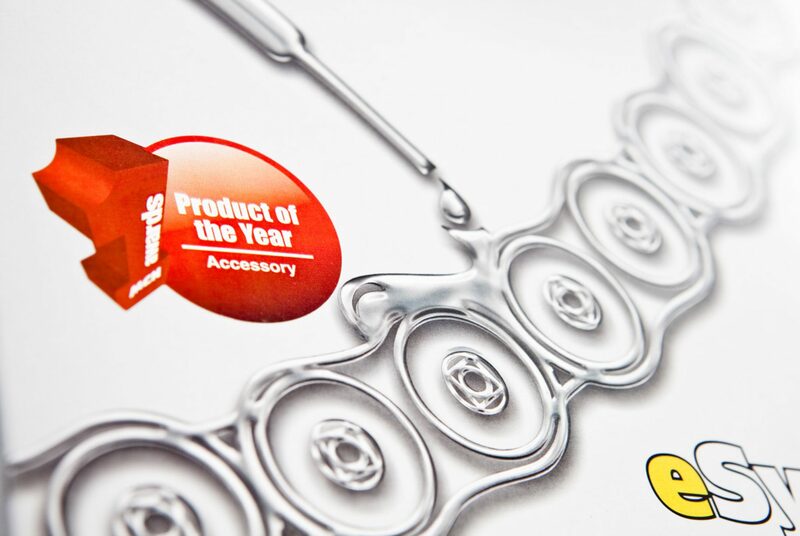 Voted MCN Product of the Year its fantastic technical features, ease of installation and on-the-road performance combine to create the most advanced motorcycle chain maintenance tool we have ever developed. The eSystem is an electronically pumped motorcycle chain oiler requiring only a small power feed from the battery to operate. 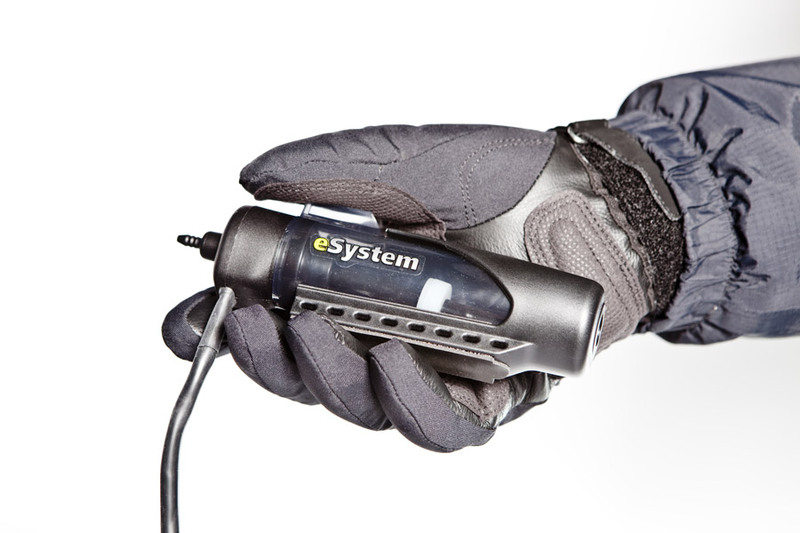 It can be installed on most bikes in under an hour by connecting the wiring loom to the battery; this plug and play connectivity means the eSystem is the easiest electronic motorcycle chain oiler ever developed. Unlike some other products, there is no complicated wiring or tapping into speedometers or switches. The eSystem is designed to give the rider maximum flexibility and adjustability of their flow rate and allows for simple, one-touch changes to adjust the rate to suit conditions. 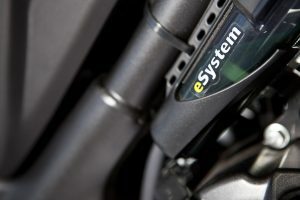 Therefore the eSystem puts the rider in control and provides simple, intuitive means to dynamically adjust the rate to suit your needs. 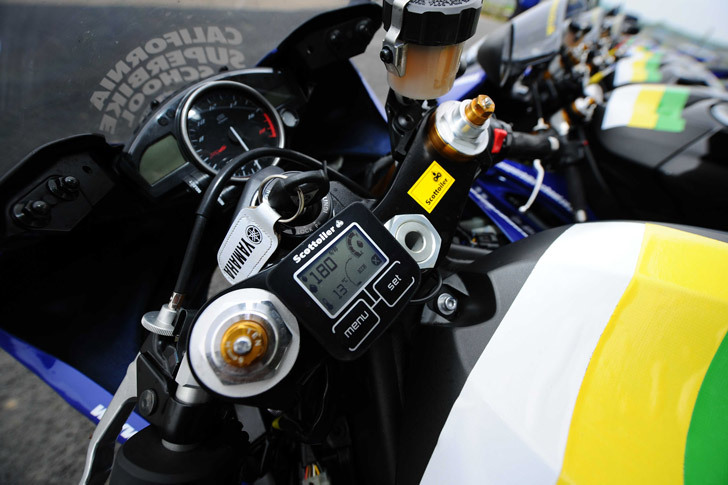 The eSystem senses vibration and movement with a triple axis accelerometer, using technology derived from MotoGP. It will sense when the engine is running and power on, then once moving – even at constant motorway cruising speeds – the sensor will monitor engine vibrations and trigger the eSystem’s oiling mode. The system displays this information on the screen along with the flow rate, the temperature in Celsius, and oil level alongside the accelerometer readout in ‘G’. 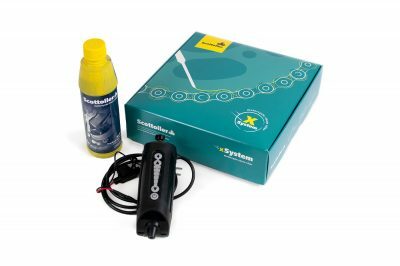 The main components of the kit are the eSystem Reservoir (REP), the dispenser (which feeds oil onto the chain and sprocket from the chain oiler), a bottle of Scottoiler motorbike chain lube suitable for approximately 5,000 miles and the parts required for a variety of fitting options. 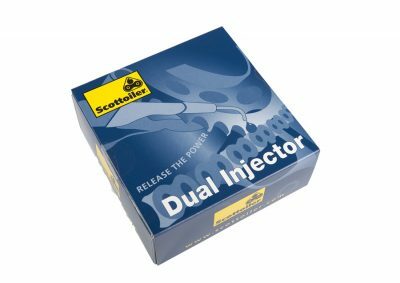 Some motorcycle models may require special parts which are available free of charge from Scottoiler. Please refer to the bike specific install guides where these parts are highlighted. Fits easily & quickly to your bike. Significantly reduces the need for motorcycle chain maintenance. 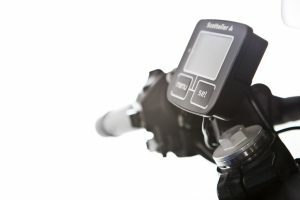 Handlebar display for easy adjustments and riding information. 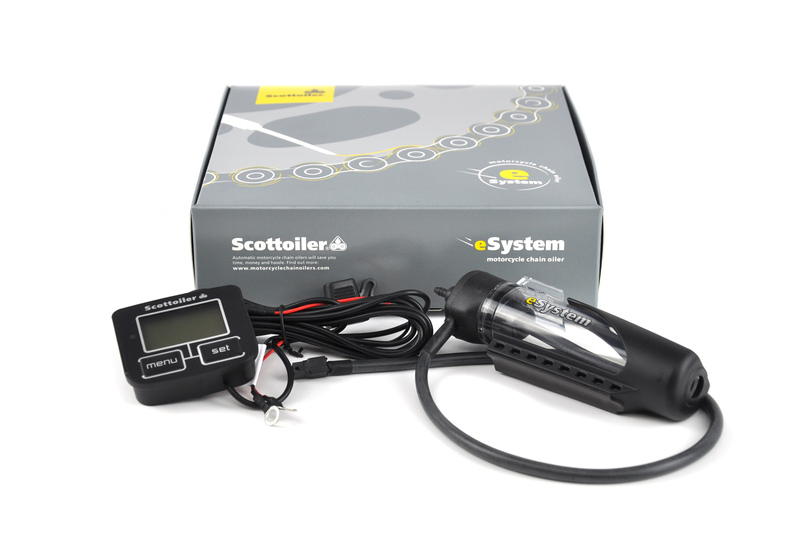 How does the eSystem motorbike chain oiler from Scottoiler work? 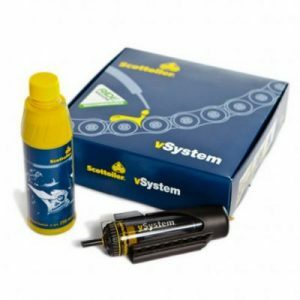 This motorbike chain oiler system is an electronically pumped system, so the oil is forced from the reservoir to the chain by the REP. Check out the technical section to find out more about how the system works. 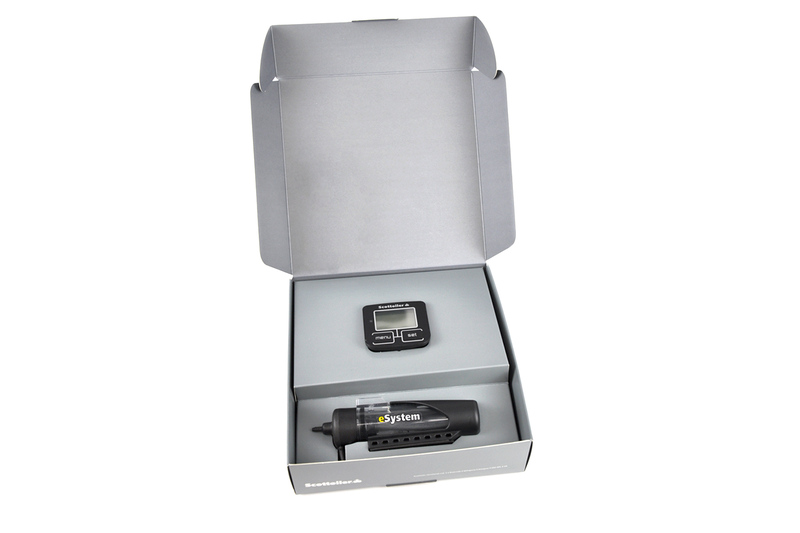 The range on this kit is up to 1500 miles (depending on flow rate, speed, etc.) 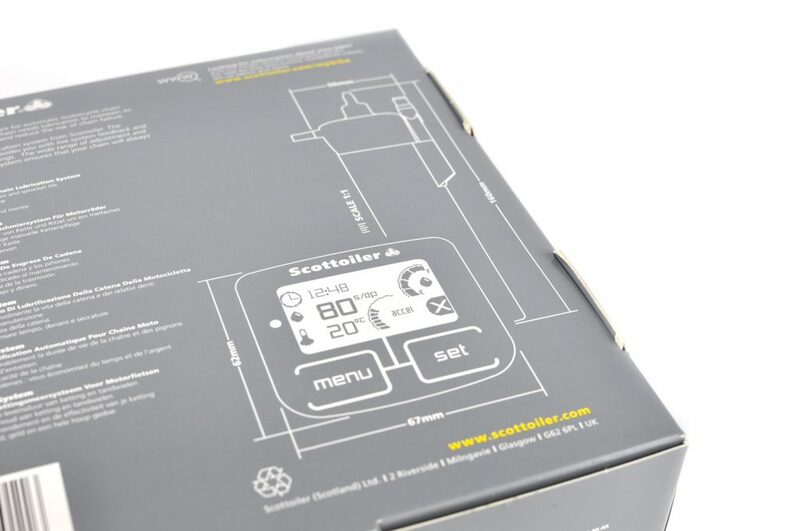 between reservoir refills – it will tell you when it is running low so you can top up. How much power does the eSystem need? When the engine is off, the eSystem draws less than 1 milli-amp of power. This is significantly less than the current drawn by a modern alarm so you don’t need to worry about the power drain on the battery. 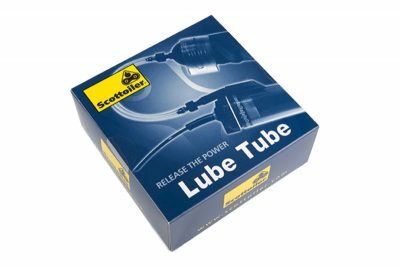 What oil does the Scottoiler eSystem take?